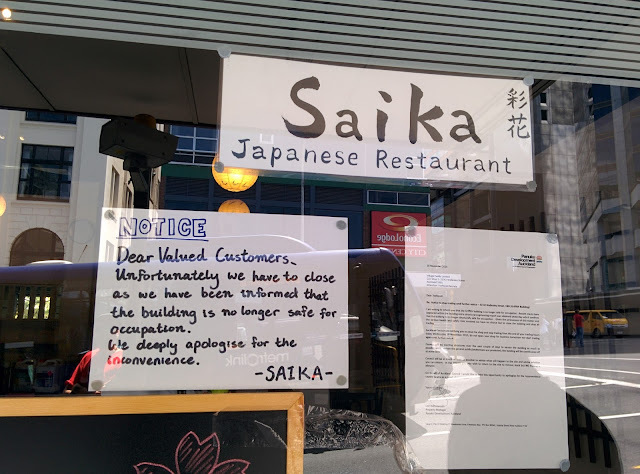 The block of shops on Wellesley Street containing Saika and Homeworld BBQ has been forced to close as cracks have been found in the building. What is up with the obsession over Frida Kahlo here? You mean because Frida's Margaritas has just started up, or is there more to this obsession?